It gives me much pleasure and honor to address you at this 19th Council of Administration of the African Telecommunications Union here in Kampala, Uganda. Welcome to Uganda, the Pearl of Africa. The government of Uganda is honored to host this event, where stakeholders in the communications industry throughout Africa have come together to review the activities of the Secretariat, formulate policies and strategies aimed at the development of the ICT sector on our continent. We are pleased that this, and the ensuing series of meetings will discuss issues that are pertinent to us on the African continent, and to Uganda. This meeting provides an opportunity for African governments, continental organizations and industry players to move the global ICT development agenda forward. I believe every one of us in our respective capacities must assume responsibility for the global digital community. Our greatest responsibility is to embrace a new spirit of togetherness in this digital era. I wish to inform you that Uganda is a significant player in telecommunications developments both on the continent and at the global scene. Uganda’s communications sector has over the past decade transformed from one of the least developed in the world to the fastest growing with one of the best regulatory environments in Africa. Our National Vision 2040 identifies ICTs among the key foundations to spur Uganda’s transformation into a modern and prosperous country. To date, Uganda has registered tremendous achievements in the ICT sector which have impacted positively on the economy. Through its Universal Access Programme, the government of Uganda continues to bridge the digital divide and to achieve social and economic development. Uganda’s ICT Policy and Regulatory environment is geared towards encouraging investment, protecting the interests of consumers and is being re-aligned to respond to industry demands as well as foster innovation. The future will focus on ICT usage and promoting the production of low-cost locally assembled devices. Distinguished delegates, we have all benefitted from the various joint initiatives carried out at regional and international level. These have tremendously impacted on the way communication is being used in Africa. These regional initiatives aim to, among others, strengthen and harmonize policy and regulatory frameworks for integration and growth of the African Telecommunication/ICT market. Distinguished delegates, l would like therefore, to underscore the commitment of the government of Uganda to serve the continent at various levels with a view to establishing a vibrant continental information society. I salute ATU for championing the mobilization of member countries for consensus on African positions at regional and international ICT fora. ATU has, and continues to bolster confidence in a united African effort for the advancement of ICT. In the same spirit, I wish to commend the Secretary General Mr. Soumaila for his leadership as Secretary General. 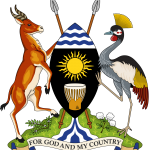 I wish to take this honour to inform you that the Government of Uganda will submit her candidature for election to the ITU Council representing Africa (Region D) for the period 2018-2022. The elections will take place at the forthcoming ITU Plenipotentiary conference which will be held in Dubai, United Arab Emirates in October/November 2018. I am, therefore, respectfully requesting for your support and that of your governments for Uganda’s candidature. On another note, I would like to appeal to ATU Secretariat to take a study of the various digital policies of member countries, advise on ways to harmonize the same and practical solutions to our digital challenges such as costs of connectivity. Last but not least, I wish to take this opportunity on behalf of Uganda government to invite you to take time to enjoy the beauty of Uganda as a country. I wish you fruitful deliberations.